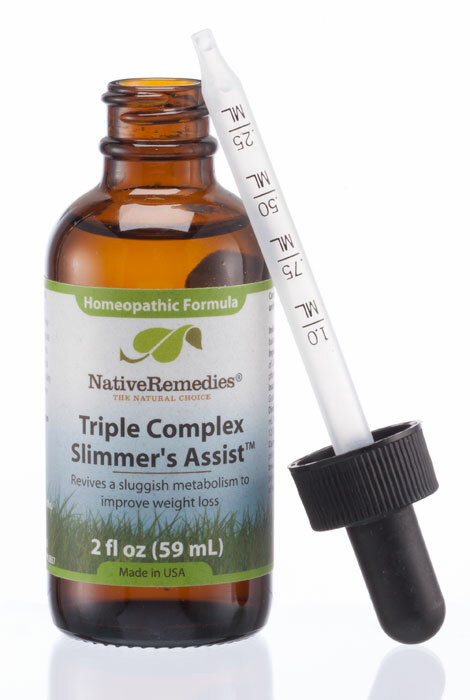 Triple Complex Slimmer’s Assist is a safe, non-addictive natural remedy containing 100% homeopathic ingredients specifically formulated to temporarily improve healthy weight loss efforts and support metabolism and digestion. 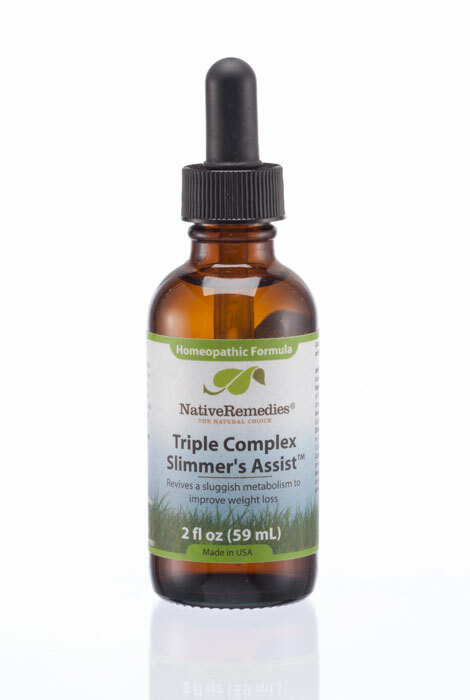 Formulated by a team of experts in natural medicine, Triple Complex Slimmer's Assist promotes the body’s natural ability to break down dietary fats without the risk of dangerous side effects. The formula contains a combination of three biochemic cellular-supporting homeopathic tissue salts. Tissue salts work on the principle that health is the body’s natural state and that the body can heal itself by restoring an underlying imbalance. When these vital tissue salts are in the correct concentration, the body is healthy. As soon as the tissue salts ratio is disturbed, normal cell function is impaired. Tissue salt formulations restore health by using specially prepared doses of minerals to regulate the assimilation and distribution of mineral salts in the tissues. Triple Complex Slimmer’s Assist is taken internally and assists weight loss efforts by promoting digestive system health. Available in liquid form, Slimmer’s Assist is easy to ingest and hassle-free with no artificial colors or preservatives. 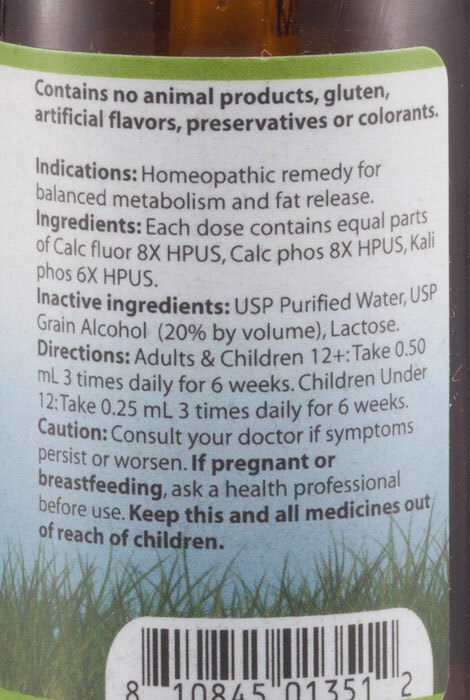 Due to its unique homeopathic formula, it is also safe for all ages. Triple Complex Slimmer's Assist is 100% homeopathic, contains these ingredients, and has the following indications (purposes): Calc fluor 8X HPUS, Calc phos 8X HPUS, Kali phos 6X HPUS. Kali phos 6X HPUS: constituent of all tissues and fluids of the body; dullness and want of energy, hungry soon after taking food. Calc fluor 8X HPUS: indicated in ailments which can be traced to a relaxed condition of the elastic fibers. Calc phos 8X HPUS: constituent of the bones, teeth, connective tissue, blood corpuscles and the gastric juice; important part in assimilation and digestion.